5 more must-savour restaurants in Ontario&apos;s Southwest. The restaurants and eateries in Ontario’s Southwest continue to shine on a national stage when it comes to delicious and unique culinary experiences.With the vast bounty of fresh local ingredients and extremely talented creative chefs, there’s no shortage of tasty dishes and it’s no wonder the Food Network’s hit show You Gotta Eat Here keeps coming back to this region again and again. Last year, I listed five restaurants the show had featured from Ontario’s Southwest, read that article here, but since they’ve visited so many other locations, I think it’s time to list five more! 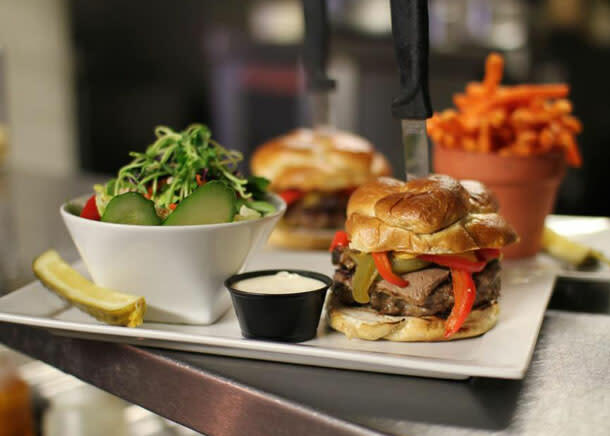 Located in Kingsville, Jack’s Gastropub is a perennial favourite in Essex County. With their commitment to fresh local ingredients, the menu at Jack’s changes often and always features delicious signature burgers, my personal favourite section of the menu, entrees, and delicious hand crafted desserts. To pair with your meals, the restaurant carries a wide variety of local wines from the Essex Pelee Island Coast wine region and many local craft brews; they even brew their own craft beer in-house under the label Banded Goose Brewing. You can also grab some of their delicious eats from their food truck the Blackjack Gastrovan! Showcasing the quality of all that is local is the mantra at Rino’s Kitchen & Ale House. The Windsor restaurant is located in a historic 100 year old house which is very fitting as every dish on the seasonally changing menu is a home cooked experience made from local ingredients from local farmers and food producers. Additionally, the wine list offers only local Essex County wines and the beers are from local & Ontario brewers. This commitment to fresh local ingredients really comes out in the tastes of all the amazing dishes crafted by Chef Rino Bortolin. It’s difficult to pick a single dish as my favourite but if I could only choose one, it would have to be the mint fettucini in a lamb meat sauce. To put it simply, you just gotta eat here. Prince Albert’s Diner is a staple in London among the locals and the city’s vast student population. I can honestly say I had more meals at the restaurant than I can count while I was studying in the city. You won’t find too many, if any, low calorie options on menu but I can assure you that you won’t be too worried about that once you take your first bite; everything is delicious and flavourful. My favourite thing on the menu, and one of the items featured on the show, is the Wally burger, a perfectly cooked bacon burger topped with peanut butter. It’s a combination of ingredients you wouldn’t normally think to try but boy does it ever work well; and the same goes for much of everything else on the menu! Whenever you make it to the Forest City, Prince Albert’s is definitely a must visit foodie stop. The name of this Windsor restaurant says it all, Smoke & Spice is about classic southern BBQ. From award-winning smoked chicken wings and pulled pork to St. Louis-cut ribs and beef brisket, you’ll find all the BBQ classics on the menu, each one made to tasty perfection. 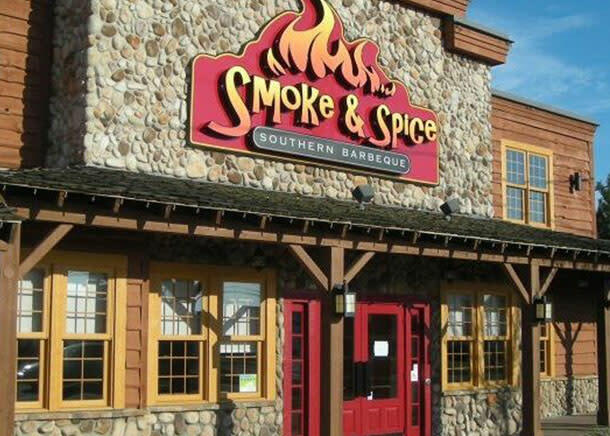 As You Gotta Eat Here put it during their visit, you’ll be hard pressed to find southern classics like those you get at this restaurant elsewhere in Canada, think smoked and deep fried bologna smothered in coleslaw or a pulled pork sundae complete with BBQ rub sprinkles. It’s all the down south flavours without leaving Ontario’s Southwest! Nestled in London’s Old North, the Bungalow is THE spot for burger lovers. There are so many burgers on the menu, I could sit here writing paragraph after paragraph about them all stopping only to wipe my watering mouth from all the memories of deliciousness. Not to mention, all the choices when it comes to sides, like rosemary fries, homemade mac & cheese, sweet & sour coleslaw and so many more. 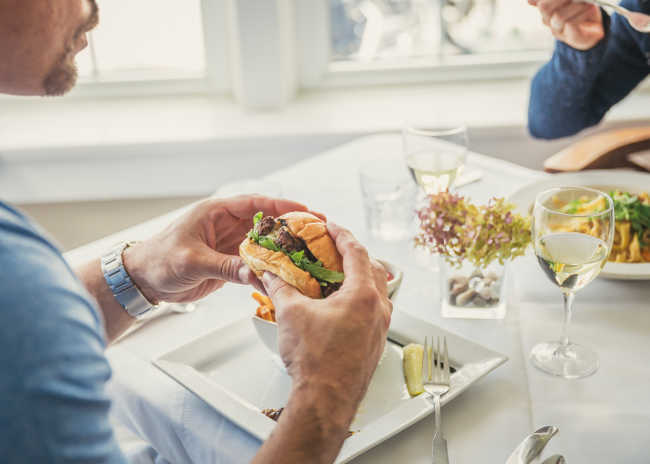 There’s plenty more great food on the menu too but it’s definitely the burgers that will have you coming back again and again; from buffalo to wild boar and even scallops, the choice is yours on what you want to put in those fresh buns. And there we have it, another five restaurants from Ontario’s Southwest that have been featured on the hit show, You Gotta Eat Here. As someone who has spent a lot of time over the last few years travelling this region and discovering new restaurants and dishes all the talented chefs are coming up with, this is just the tip of the iceberg. There are many more great spots that I’m sure the show will discover and highlight over the coming seasons and I shall be happy to revisit the list for Part III.